Real estate can be a great investment, and many people don’t know they can also put the property into their IRAs. However, they have to be careful: one small mistake and an IRA’s tax advantages disappear. You can’t mortgage the property. You can’t work on the property yourself — you’ve got to pay an independent party to do any repairs. You don’t get the tax breaks if the property operates at a loss. You can’t claim depreciation either. All costs associated with the property must be paid out of your IRA and all income deposited into the IRA. You can find yourself in a bind if there isn’t enough cash in the IRA to deal with a major property expense. You can’t receive any personal benefit from the property — you can’t live in it or use it in any way. It has to be strictly for investment purposes. So that vacation property you’re considering buying or a house to rent to your kids — not allowable. 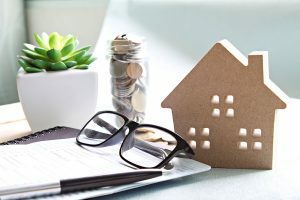 Any investment made by your IRA must be considered an arm’s-length transaction: You can’t use money in your IRA to buy or sell real estate to or from yourself or family members. You can’t receive any indirect benefit either — you can’t pay yourself or a family member to be the property manager. Your IRA cannot purchase a property that you currently own. IRS regulations don’t allow transactions that are considered self-dealing. They don’t allow your self-directed IRA to buy property from or sell property to any disqualified person — including yourself. There are a lot of working parts to keep in mind if you want to hold real estate in your IRA, and it might not be right for everyone. With Simon Filip, the Real Estate Tax Guy, on your side, you can focus on your real estate investments while he and his team take care of your accounting and taxes. Contact him at [email protected] or 201.655.7411 today. Unfortunately, 2018 has been another year of major disasters due to hurricanes, fires, and floods. As taxpayers turn to the process of restoring property, some may be considering whether a 1033 exchange is more relevant than a 1031 exchange. This blog entry examines some of the key aspects of the 1033 exchange. 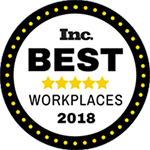 What is an IRC 1033 exchange? A section 1033 exchange, named for Section 1033 of the Internal Revenue Code, applies when you lose property through a casualty, theft or condemnation and realize gain from the insurance or condemnation proceeds. If your accountant or tax advisor believes you will realize gain from the insurance or condemnation proceeds, you may be able to defer that gain using a 1033 exchange. Internal Revenue Code Section 1031, commonly referred to as a “like-kind exchange,” does not allow a taxpayer to hold or benefit from the proceeds during the exchange period. 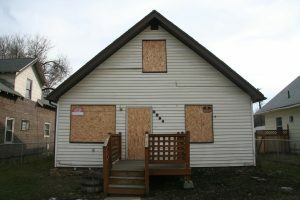 It also requires the replacement property be identified within 45 days and acquired within 180 days after the closing of the relinquished property. If a taxpayer is deferring gain in a 1033 exchange, he can hold the proceeds until the acquisition of the replacement property and an intermediary is not required. Another difference between a 1031 and a 1033 exchange is the standard that is used to limit what you can buy as replacement property. In general, the standard is more restrictive under 1033 than the like-kind standard under IRC 1031. Section 1033 provides the replacement property must be “similar or related in service or use” to the property that was lost in the casualty or condemnation. It is important to note the Tax Cuts and Jobs Act of 2017 eliminated tax-deferred like-kind exchanges of personal property, but allows exchanges of business and investment real estate. The time period allowed for the taxpayer to acquire the replacement property is much more liberal than Section 1031 exchanges. The period begins at the earlier of when the taxpayer first discovers the threat or imminence of condemnation proceedings or when the condemnation or other involuntary conversion occurs. The period ends either two or three years after the end of the tax year in which the conversion occurs. The time period is three years for real property held for business or investment and two years for all other property. If the taxpayer has lost property in a federally declared disaster area, Section 1033 gives the taxpayer a two year extension on the replacement period, granting a total of four years in which to replace the lost property. Taxpayers having lost their property due to casualties or those facing condemnation should consult with their tax advisors to take advantage of the tax deferral afforded under Section 1033 if they wish to replace their lost property. The member of a SMLLC who wishes to be treated as corporation for tax purposes must file either Form 8832 to be treated as a ‘C’ Corporation or Form 2553 to elect classification as an ‘S’ Corporation. Where an individual does not file Forms 8832 or 2553 to elect to be treated as a corporation, the IRS will treat the LLC as a disregarded entity and it will be taxed as a sole proprietorship. By default, the IRS treats a SMLLC as a “disregarded entity.” This means the IRS will not look at a SMLLC as an entity separate from its sole member for the purpose of filing tax returns. 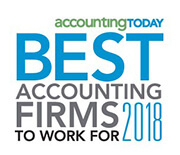 Instead, similar to a sole proprietorship, the IRS will disregard the SMLLC and the member will report income and expenses and pay taxes for the business as part of his or her own personal tax return. Taxable income or loss generated by an operating business will be reported on Schedule C, while rental income will be reported on Schedule E. Since the ultimate responsibility for paying taxes on income generated by a SMLLC is passed through to the member, this way of taxing profits is called pass-through taxation. As a disregarded entity, if the SMLLC has taxable profits for a given year, the sole member is required to pay taxes on that profit, regardless of whether the profits are actually distributed to the member. It is not relevant whether a member of a SMLLC leaves the profits in the business bank account or withdraws the money. Regardless, all income or loss are reported by the SMLLC owner for income taxation. Steve’s SMLLC, which owns rental real estate, earned $25,000 this year after expenses and depreciation. Steve decides that he doesn’t need the money and will leave the entire $25,000 in his business checking account to use next year. Steve will have to report and pay tax on the full $25,000. There are instances when a SMLLC ceases to be a disregarded entity. One instance this is accomplished is through the addition of one or more new members to the limited liability company. The LLC’s tax reporting after an additional member is admitted no longer is reflected on Schedules C or E of the former sole member. 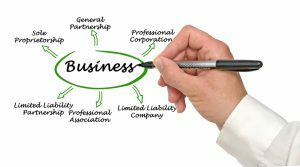 The entity has become a multi-member limited liability company and must obtain an Employer Identification Number and file a partnership return. My team and I regularly receive questions on real estate-related topics. In this blog post, I answer some of those questions as they are important and others likely need the answers. Question: What is the realty transfer fee and who can expect to pay it? Answer: The Realty Transfer Fee, also known as “RTF,” is a fee imposed by the State of New Jersey to offset the costs of tracking real estate transactions. Upon the transfer of the deed to the buyer, the seller pays the RTF, which is based upon the property sales price. The RTF rate is a graduated rate and there are two different structures, depending on whether the total consideration is over or under $350,000. Question: What happens if you list three properties as replacement properties for your 1031 exchange, but all properties are no longer available? Answer: One of the requirements of a 1031 exchange is taxpayers must identify a list of properties for potential purchase within 45 calendar days. Whichever property is ultimately purchased must be on this list. The rule allows taxpayers to identify three properties without limitation. Those listed are property that may be purchased, however not all are required to be purchased. If more than three properties are identified, the IRS rules become narrower and stringent. The list can be changed an infinite amount of times until midnight of the 45th day. If the taxpayer is beyond the 45th day, the list is unchangeable and only properties listed can be chosen to complete the exchange. If the properties are not available after the 45th day, a 1031 exchange cannot be completed and the transaction is not eligible for deferral under Code Section 1031. Question: Did the Tax Cut and Jobs Act (TCJA) change 179 expensing for rental property owners? The TCJA expanded the definition of eligible property to include expenditures for nonresidential roofs, HVAC equipment, fire protection and alarm systems, and security systems. Have a burning real estate question? Email me and I’ll answer it in an upcoming post. The tax legislation known as the Tax Cuts and Jobs Act (the Act) places a new limit on the amount of interest expense businesses can deduct on their tax returns. This new limit will punish over-leveraged companies and discourage companies from becoming too leveraged. Starting in 2018, businesses can only deduct interest based upon a formula contained within the act. Under the new tax law, a business’s net interest expense deduction is limited to 30 percent of EBITDA (Earnings before Income Taxes, Depreciation, and Amortization). Beginning in 2022 the net interest expense deduction limitation is 30 percent of EBIT (Earnings before Income Taxes). Businesses with average annual gross receipts of $25 million or less for the prior three years are exempt from this provision. The amount of business interest not allowed as a deduction for any taxable year is treated as business interest paid or accrued in the succeeding taxable year. Business interest may be carried forward indefinitely, subject to certain restrictions. Real estate is both illiquid and capital intensive, making leverage and the ability to deduct interest important to the industry. A real property trade or business can elect out of the net interest expense deduction limitations if they use the Alternative Depreciation System (ADS) to depreciate business-related real property. Taxpayers electing to use the real estate exception to the interest limit must depreciate real property under longer recovery periods prescribed by ADS. Those recovery periods are 40 years for nonresidential property, 30 years for residential rental property, and 20 years for qualified interior improvements. This is compared to recovery periods of 39 years for nonresidential property, 27.5 years for residential rental property, and 15 years for qualified interior improvements. Most real estate investment vehicles are structured as pass-through entities. The limitations on current interest expense is applied at the operating entity level, and any allowable deduction is included in the non-separately stated income or loss on each partner’s Form K-1. However, any disallowed interest will be carried forward at the partner level. In groups of related entities, it appears aggregation rules will apply in determining whether the $25 million gross receipts threshold has been exceeded. Additional guidance is anticipated on calculations of the limitation as well as explanations as to how this section will interact with other sections of the Internal Revenue Code. Rather than guessing at how the business interest rules apply to your situation, why not let the experts at KRS CPAs help? Check out the New Tax Law Explained! For Real Estate Investors page and then contact partner Simon Filip at [email protected] or 201.655.7411 for a complimentary initial consultation. On December 20, 2017 Congress passed the most extensive tax reform since 1986, which was subsequently signed into law by President Trump. 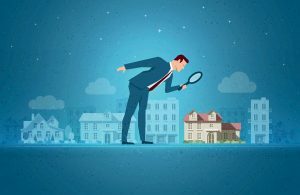 Included in the TCJA are changes to the Internal Revenue Code (“Code”) that impact taxpayers engaged in the real estate business, and those who otherwise own real estate. The TCJA lowers the marginal (top tax bracket) tax rate applicable to individuals from 39.6% to 37%. The net investment income tax (NIIT) and Medicare surtax of 3.8% and 0.9%, respectively, remain. The reduction in tax rates is not permanent like the corporate tax rate reduction, and is scheduled to expire after 2025. The tax rates applicable to long-term capital gains of individuals remains at 15% or 20%, depending on adjusted gross income (AGI). The TCJA creates a new 20% tax deduction for certain pass-through businesses. For taxpayers with incomes above certain thresholds, the 20% deduction is limited to the greater of (i) 50% of the W-2 wages paid by the business, or (ii) 25% of the W-2 wages paid by the business, plus 2.5% of the unadjusted basis, immediately after acquisition, of depreciable property (which includes structures, but not land). Pass-through businesses include partnerships, limited liabilities taxed as partnerships, S Corporations, sole proprietorships, disregarded entities, and trusts. Qualified business income does not include IRC Section 707(c) guaranteed payments for services, amounts paid by S corporations that are treated as reasonable compensation of the taxpayer, or, to the extent provided in regulations, amounts paid or incurred for services by a partnership to a partner who is acting other than in his or her capacity as a partner. Qualified business income does not include income involving the performance of services (i) in the fields of, among others: health, law, accounting consulting, financial services, brokerage services, or any trade or business where the principal asset of such trade or business is the reputation or skill of one or more of its employees or owners, or (ii) consisting of investing or investment management, trading, or dealing in securities, partnership interests or commodities. Qualified business income includes (and, thus, the deduction is applicable to) only income that is effectively connected with the conduct of a trade or business within the United States. The deduction is limited to 100% of the taxpayer’s combined qualified business income (e.g., if the taxpayer has losses from certain qualified businesses that, in the aggregate, exceed the income generated from other qualified businesses, the taxpayer’s deduction would be $0). For most taxpayers, TCJA disallows the deductibility of business interest to the extent that net interest expense exceeds 30% of Earnings before Income Taxes Depreciation and Amortization (EBITDA) for 2018 through 2022, or Earnings before Income Taxes (EBIT) beginning in 2022. An exemption from these rules applies to certain taxpayers with average annual gross receipts under $25 million. A real property trade or business can elect out of the new business interest disallowance by electing to utilize the Alternative Depreciation System (ADS). The ADS lives for nonresidential, residential and qualified improvements are 40, 30, and 20 years, respectively. All of which are longer lives, resulting in lower annual depreciation allowances. The TCJA includes generous expensing provisions for acquired assets. The additional first year depreciation deduction for qualified depreciable personal property (commonly known as Bonus Depreciation) was extended and modified. For property placed in service after September 27, 2017 and before 2023, the allowance is increased from 50% to 100%. After 2022, the bonus depreciation percentage is phased-down to in each subsequent year by 20% per year. 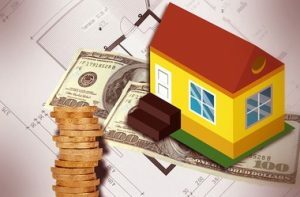 Taxpayers may elect under Code Section 179 to deduct the cost of qualifying property, rather than to recover the costs through annual depreciation deductions. 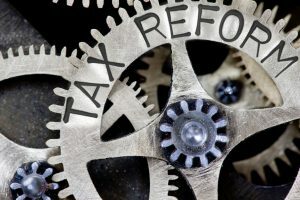 The TCJA increased the maximum amount a taxpayer may expense under Section 179 to $1 million, and increased the phase-out threshold amount to $2.5 million. The new tax code is complex and every taxpayer’s situation is different, especially when real estate is involved – so don’t go it alone! Contact me at [email protected] or 201.655.7411 to discuss tax planning and your real estate investments under the TCJA. A passive loss from a real estate activity occurs when your rental property’s expenses exceeds its income. The undesirable consequence of passive losses is that a taxpayer is only allowed to claim a certain amount of losses on their tax return each year. When income is below $100,000, a taxpayer can deduct up to $25,000 of passive losses. As income increases above $100,000, the $25,000 passive loss limitation decreases or “phases out.” The phase out is $0.50 for every $1 increase in income. Once income increases above $150,000, taxpayers are completely phased out of deducting passive losses. The general rule is that all rental activities are, by definition, passive. However, the Internal Revenue Code created an exception for certain professionals in the real estate business. As discussed in a previous post, for income tax purposes, the real estate professional designation means you spend a certain amount of time in real estate activities. 2) they spend more than 750 hours of service during the year in real property trades or businesses in which they materially participate. Any real property development, redevelopment, construction, reconstruction, acquisition, conversion, rental, operations, management, leasing, or brokerage trade or business qualifies as real property trade or business. Can I qualify as a real estate professional? I get these questions quite often from taxpayers: Do I qualify as a real estate professional? If not, how can I qualify? 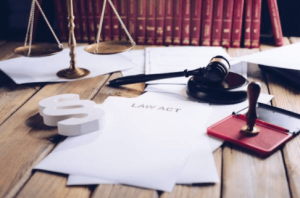 There have been many cases that appear in front of the Tax Court where a taxpayer argues they qualify as a real estate professional and the IRS has disallowed treatment and subjects the taxpayer to the passive activity loss rules of Code Sec. 469. A recent case held that a mortgage broker was not a real estate professional (Hickam, T.C. Summ. 2017-66). The taxpayer was a broker of real estate mortgages and loans secured by a real estate. 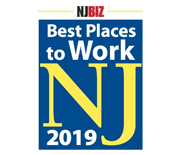 Although the taxpayer held a real estate license, he did not develop, redevelop, construct, reconstruct, operate, or rent real estate in his mortgage brokerage operation. The taxpayer argued that his mortgage brokerage services and loan origination services should be included for purposes of satisfying the real estate professional test. The Court held that the taxpayer’s mortgage brokerage services and loan origination services did not constitute real property trades or businesses under Code Sec. 469(c)(7)(c). If you invest in real estate, it can be difficult to keep track of tax laws and how they impact you. At KRS CPAs, we stay on top of all the laws – especially the changes under the new tax reform – and can help you avoid tax problems. Contact me at [email protected] or 201.655.7411 for a complimentary initial consultation. If a taxpayer fails to qualify as a real estate professional, losses from rental activities may still be deductible. While real estate professionals are afforded beneficial tax treatment enabling them to deduct losses from their real estate activities, real estate nonprofessionals taxpayers may still benefit. 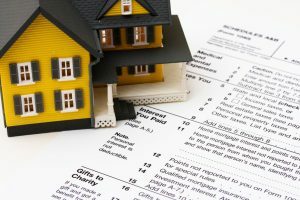 If a taxpayer or spouse actively participated in a passive rental real estate activity, they may be able to deduct up to $25,000 of loss from the activity from nonpassive income. This special allowance is an exception to the general rule disallowing losses in excess of income from passive activities. A taxpayer actively participated in a rental real estate activity if the taxpayer (and spouse) owned at least 10% of the rental property and made management decisions or arranged for others to provide services. Management decisions that may count as active participation include approving new tenants, deciding on rental terms, and approving expenditures. Having a property manager will not prevent a taxpayer from meeting the active participation test. A taxpayer’s lack of participation in operations does not preclude qualification as an active participant, as long as the taxpayer is still involved in a significant sense. For example, the service vendors and approving tenants must be approved by the taxpayer before the property manager can commit to a service or lease contract. In other words, the taxpayer is still treated as actively participating if they are involved in meaningful management decisions regarding the rental property. If the taxpayer’s modified adjusted gross income (MAGI) is $100,000 or less ($50,000 or less if married filing separately), they can deduct losses up to the amount specified above. If MAGI is more than $100,000 (more than $50,000 if married filing separately), the special allowance is limited to 50% of the difference between $150,000 ($75,000 if married filing separately and your MAGI). If MAGI is $150,000 or more ($75,000 if married filing separately), there is no special allowance. Learn about all the tax benefits you may qualify for if you invest in real estate. Contact me at [email protected] or 201.655.7411.